Whenever I tell people I teach ballroom dance to my fifth grade students, one of two reactions usually come. The first response almost always comes from people who know me: friends, family, and co-workers. Maybe my lack of rhythm and general dance acumen has something to do with it. The latter reply is one that I gave the music teacher at my school when she approached me about co-teaching ballroom dance four years ago. To say I was hesitant would be an understatement. I remembered back to the nightmare experience the third year of my teaching career. That year my 5th graders nearly organized a coup for forcing square dance on them. Teaching ballroom has turned out to be the most rewarding experiences of my teaching career. 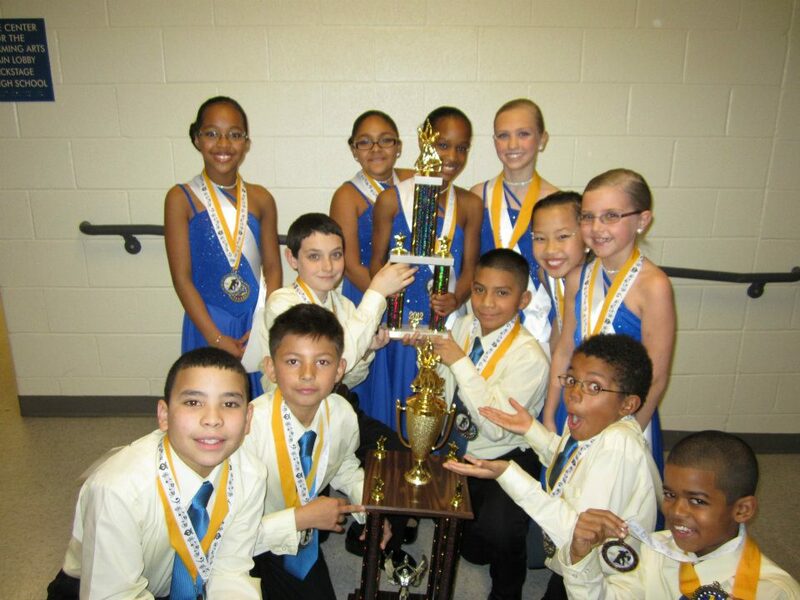 From introducing it to a raucous group of eighty fifth-graders to coaching our school’s first two district ballroom championship teams, my involvement with the program has been nothing but positive. Despite all the success, the greatest triumph came in December of 2014. It had nothing to do with championships. It didn’t even have to do with my fifth graders. My crowning moment came when I gambled on using ballroom dance to teach one of my most challenging concepts with a grade level that I didn’t think possessed the maturity to handle it. Performs all the steps of a dance. Performs the sequence of dance steps. Combines the sequence of a dance with the beats of the music. Uses positive verbal language to encourage the inclusion of peers. Acknowledge that individuals have a variety of differences. Imitates the teacher by demonstrating respect and caring for students. I wanted something more concrete than observation. A unit that challenged the fourth graders to not only demonstrate, but actually create new empathetic habits. I hesitated. My older kids could handle the opposite gender dynamic with minimal fuss, but the fourth graders? The more I thought about the entire ballroom dance process, the more it made perfect sense to challenge the fourth grade students to show empathy in their dancing. I set to seamlessly integrate the techniques of dance with the elements of empathy. I concentrated on teaching fourth grade only Merengue and Swing instead of the dances (Merengue, Foxtrot, Tango, Swing, Cha Cha) fifth grade had to learn. The two dances were high energy, exciting, less challenging. Dance would be a vehicle in teaching empathy, not the focus. Below are a brief plan outline for the five-class unit. Click it to view it larger. As expected, at first mention of dancing, the students were noticeably uncomfortable. I ignored it. After using ‘Team Shake’ to create pairs, I showed the essential elements of Empathy, our focus. That reset the class. The expectation in my class through the entire year was to promote behaviors that help our learning, not hurt it. My students knew their reaction was not helping the learning process. I spent two days teaching the Merengue and two days teaching the swing. Each of those classes the students focused on one of the essential elements of empathy. 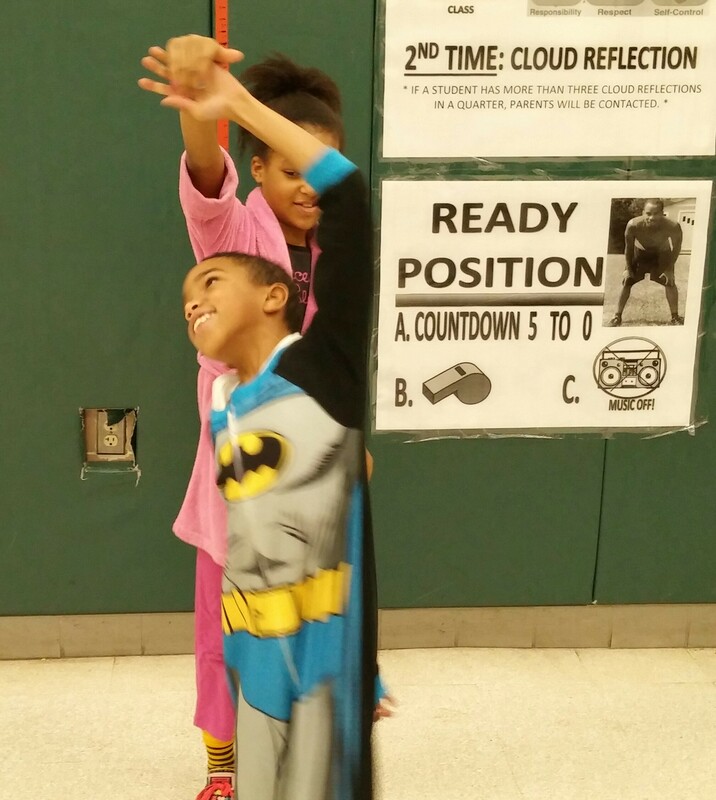 The focus included a ‘Once you enter the gym’ task about empathy, which they would track throughout physical education class. At the end, the students completed a closure assignment that would reinforce understanding of the empathy element of the day. I am sure many teachers can attest to the murky relationship between males and females at age ten. Add the fact of being forced to touch hands and dance together, you can imagine the initial situation. I had to stay on them during the first lesson. Redirection always came in the name of respect for their partner. An obvious turn began to happen toward the end of the first lesson. Movements became more fluid, frowns disappeared, and music ruled the gym. Strict expectations definitely helped. However, I also believe my fourth graders began to realize the students they were dancing with had tangible feelings. Their partner felt uncomfortable, maybe even scared, just like them. The most daring thing I asked the students to do in this unit occurred in lesson four. With journals open, each pair sat down across from each other. They were asked to list all differences between them. At the end of class, students were to reflect on their difference and tell what effect, if any, did their differences have on their performance as a couple. The differences were telling: race, gender, religion, and house size were among one listed. Aren’t these the same differences that adults fight about, discriminate against, kill over? Their answers to the reflection questions were equally profound. I asked if I could share during the final lesson. STUDENT 2 ANSWER: Those aren’t big differences. STUDENT 3 ANSWER: No because he was a great dancer and none of the differences had anything to do with dancing. PAIR #1:Talked a lot about their differences. Explore topics about each other. Showed interest. STUDENT 5 ANSWER: Different gender doesn’t matter. STUDENT 7 ANSWER : None of our differences affected our dancing because we danced well together and I could do it again. I simply told them I was proud of them. What more could I say? They were the ones who had done the teaching. Fourth graders learned in five class periods what many adults struggle to understand. Their responses to the most important question I asked them all year. By the way each couple danced w/ a huge smile on their face that final lesson. By the way they have continue to show empathy toward each other five month since. If you have any questions about teaching ballroom or the concept of empathy to your students feel free to contact me. This is a link to the Ballroom portion of my school website. I used this to help supplement my teaching with both fourth and fifth grade. Great post on an activity that is often considered “challenging” and/or “uncomfortable”. The benefits far outweigh the challenges – thank you for posting! Such a great post! I teach ballroom too! – To 5th Graders! Like you, I have found this to be a rewarding experience to watch students settle into their character and show courage, empathy, respect – and the list goes on. I also look at this as fitting nicely into a growth mindset model – both for me (not the best dancer) and the students (we are all in this together). Thank you! Jonathan, I would love to teach this and never have. 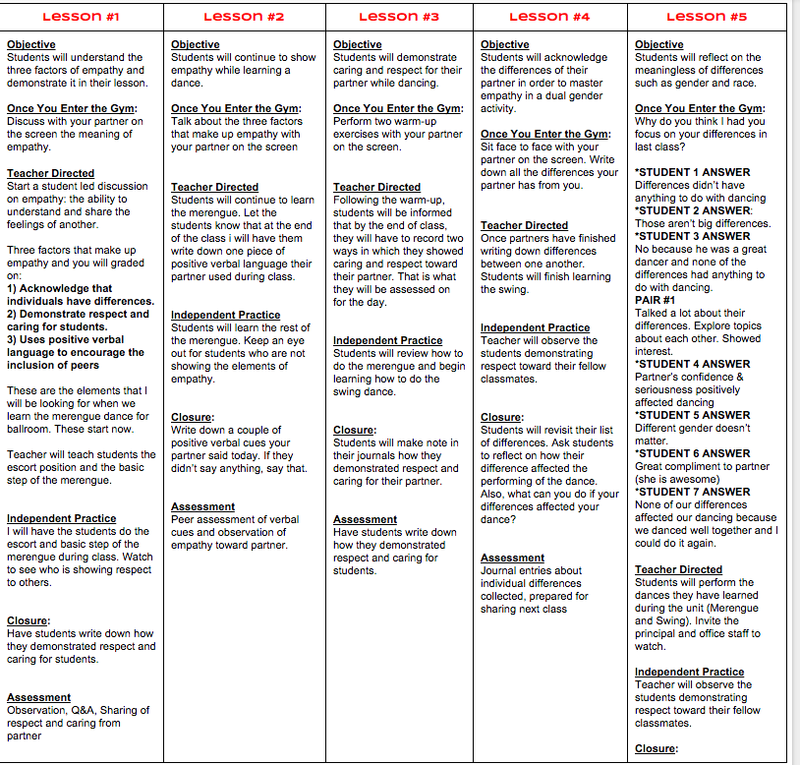 Can you share some lesson plans with me or how you taught it? Did you co teach with the music teacher. I would love to teach it to 4-6th graders. Thanks! Jonathan, can you give me any info or lesson plans you used for ballroom dancing? I am interested in teaching it this upcoming year. My e-mail is patrickwhitney@smsd.org. Thank you!